Adam strongly believes in education and sharing information, however sometimes it can seem a little overwhelming. Below is a wide selection of available websites and their resources. Each website is briefly described and their further resources are divided into 3 categories. Individuals is predominantly for people who are themselves suffering or have suffered with a mental illness, or are concerned about their own mental wellbeing. Family, Friends & Carers is focused on people that are family, friends, or carers of someone who is suffering or has suffered with a mental illness, or are concerned about someone else’s mental wellbeing. It is also a good place for carers of individuals who are experiencing mental ill-health. Professionals is tailored for people in a professional role or environment that is looking for more information to help promote, discuss and manage mental health. This includes teachers, educational settings such as universities or schools, employers, all work environments as well as people who are trained to professionally treat others with their mental health. 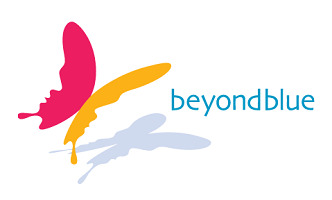 beyondblue is an independent, not-for-profit organisation working to increase awareness and understanding of anxiety and depression in Australia and to reduce the associated stigma. They empower people to seek help, and support recovery, management and resilience. beyondblue wants to provide national leadership to reduce the impact of depression and anxiety in the Australian community. They focus on people of every age, at every stage of life, with programs and initiatives to approach the issue from every angle. Their main aims are to increase awareness of depression and anxiety, reduce stigma and discrimination, improve help seeking, reduce impact, disability and mortality as well as facilitate learning, collaboration, innovation and research. beyondblue takes a public health approach, which focuses on improving the health of the whole population, across the whole lifespan. They aim to be as accessible to as many people as possible and work in a range of settings, including educational settings, workplaces, health services and online. Kids Helpline is a free, private and confidential, 24 hour telephone and online counselling service specifically for young people aged between 5 and 25. It is a great place for young people to find help and assistance for a variety of issues that may be concerning them. If you are between 5 and 25 years old and are concerned with yourself, a parent, a brother or sister, a friend, a teacher or any loved one, this is a great place to start. It also provides resources for parents and teachers to help assist them supporting the kids they care about. Lifeline is a national charity providing all Australians experiencing a personal crisis with access to 24 hour crisis support and suicide prevention services. Their services and resources are provided through phone, face-to-face, and online mediums. Somewhere in Australia there is a new call to Lifeline every minute. They provide assistance with all areas that are affecting the mental health of an individual. This includes, suicidal thoughts or attempts, personal crisis, anxiety, depression, loneliness, abuse and trauma, stresses from work, family or society as well as self-help information for friends and family. The Suicide Call Back Service provides crisis counselling to people 15 years and over that are at risk of suicide, carers for someone who is suicidal, and those bereaved by suicide, 24 hours per day, 7 days a week across Australia. They also offer advice for health professionals supporting others suffering. The Suicide Call Back Service provides immediate telephone counselling and support in a crisis. It is a great service, especially for people who are geographically or emotionally isolated. headspace is the National Youth Mental Health Foundation. They help young people between the ages of 12-25 who are going through a tough time. With more than 70 centres around Australia, they offer health advice, support and information. Their primary focus is the mental health and wellbeing of all Australians. Getting help early is the key to resolving these problems quickly. MensLine Australia is the national telephone and online support, information and referral service for men with family and relationship concerns. The service is available from anywhere in Australia and is staffed by professional counsellors, experienced in men’s issues. It is an unfortunate consequence within society that men can sometimes feel like asking for help is a bad thing. In reality it is in fact the opposite, being able to ask for help takes more strength than most realise. MensLine Australia is a great place for all males looking for assistance, advice and support. It is specifically designed for men but can also offer help and advice to people who are concerned about a man in their life. Mind Australia works with people aged 16 years and over whose ability to manage their daily activities and to live in the community is impacted by mental health issues. They work with people who seek out support to set goals, and develop the knowledge and skills to achieve them. Their focus is on an individual’s strengths, values and support preferences rather than their illness. They also aim to strengthen and empower families and carers of people with mental ill-health, and have specific services for families and carers. Mind Australia also provides training for peer workers and other mental health professionals, and people in various occupations and industries to increase their knowledge and skills in recovery-oriented practice. SANE Australia is a national charity organisation helping all Australians affected by mental illness lead a better life – through support, training, and education. SANE conducts innovative programs and campaigns to improve the lives of people living with mental illness, their family and friends. It also operates a busy Helpline and website, which have thousands of contacts each year from around Australia. It is a great resource for people who are suffering or caring for those who suffer with a mental illness. The Black Dog Institute’s mission is to advance the understanding, diagnosis and management of mood disorders by continuously raising clinical, research, education and training standards. In so doing, the Institute aims to improve the lives of those affected and in turn the lives of their families and friends. They are a world-leader in the diagnosis, treatment and prevention of depression, bipolar disorder and suicide. The Black Dog Institute aims to deliver long-term public health solutions. They incorporate expertise in clinical management with the latest research, health professional training and community education to ensure they are having a positive impact at all stages from prevention and early intervention through to treatment and recovery. The Black Dog Institute partners with universities, health services and community groups across the country. They also provide evidence-based workplace programs to protect and maintain the mental health of workers from a variety of backgrounds. I have volunteered with Black Dog and know firsthand the value of their information and research. It is a great place for anyone who is curious, is a carer, a person who suffers or just a member of society that is looking for the latest information on mental health. COPMI (Children of Parents with a Mental Illness) aims to promote better mental health outcomes for children of parents with a mental illness. Their information is designed to foster better mental health outcomes for children of parents with a mental illness, reduce stigma associated with parental mental illness and help friends, family and workers in a range of settings identify and respond to the needs of the children and their families where parental mental illness exists. COPMI is a great place for any young person seeking support, advice, assistance and guidance with everything that comes along with caring for a parent who suffers with a mental illness. It is also a great place for parents to come and find out more information on how to be open and discuss the topic and issue surrounding their mental illness, as well as advice and support. HeadsUp works towards creating mentally healthy workplaces which work better for everyone. They do this by providing individuals and businesses free tools and resources to take action. Their information covers developing an action plan, find out about taking care of your own mental health, and get tips on having a conversation with someone you’re concerned about. Anyone can suffer with mental illness and everyone should feel safe and comfortable in their workplace. From the CEO to the secretary, the chef to the wait staff, promoting mental health in the workplace is everyone’s responsibility. ReachOut.com is a national online youth mental health service that provides help, advice and information on a variety of areas regarding mental health and general adolescents. They provide factsheets, tools, apps, community forums, stories, videos and more. It is a great place for young people to start their search for resources and tools that will best help them through the issues and problems they are facing. It is an easy to use website, with valuable information on a huge range of issues that young people can face in their life. RUOK is a not-for-profit organisation that envisions a world where we’re all connected and are protected from suicide. They aim to encourage and equip everyone to regularly and meaningfully ask “are you ok?” Although suicide and mental health is a complex issue, they strongly believe in the power of genuinely asking “are you ok?” It can be the first step in acknowledging that something isn’t right. This can lead you onto the path of seeking treatment, support and recovery. RUOK specialises in this first step and provides many resources on how to start the conversation. Remembering that sometimes the most important person to ask “are you ok?” is to yourself. mindhealthconnect combines mental health resources and content from the leading health focused organisations in Australia. You can access a range of mental health resources including online programs, fact sheets, audio and video, and online communities provided. It allows you to search what best suits you and provides a variety of avenues for assistance. If unsure of what you are looking for, it asks questions to help direct you onto the best resources for your needs. It is a great tool to help you find out more information for yourself, someone you care about or are concerned with. The Australian Psychological Society (APS) strongly advocates for the discipline and profession of psychology, supports high standards for the profession, promotes psychological knowledge to enhance community wellbeing, and is dedicated to providing benefits to support their members’ professional lives. The APS predominantly provides resources and support to the professionals in psychology however they also offer community support and provide a helpful search engine for people who are seeking out specific professional help.